A viral petition by Virali Modi on Change.org, that highlights the dire need for disabled-friendly reforms in Railways, has the nation parading along with 93,000 supporters and counting. 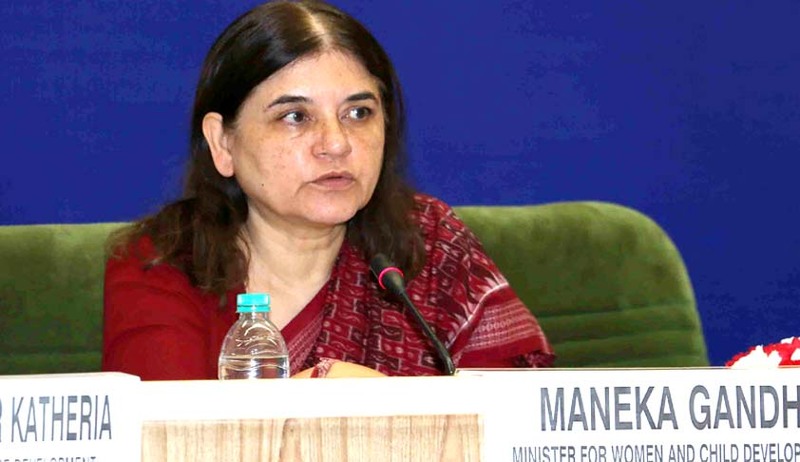 After Railway Minister Suresh Prabhu’s tweet about the petition, Union Minister for Women and Child Development Maneka Gandhi has responded to the petition, informing that she has written to the Railway Minister requesting urgent action and a ‘Mission Mode’ progress on the front. ‘The Ministry of Railways under the leadership of Shri Suresh Prabhu ji has been conscious of this issue. However, keeping in view the desirability of facilitating comfortable travel for disabled persons, I am writing to Shri Suresh Prabhu ji to request him to take up the required changes in mission mode,’ wrote Mrs. Maneka Gandhi on Change.org. ‘I would like you to remain updated about the work done by the Ministry of Women and Child Development,’ the minister said. On February 9, Suresh Prabhu had tweeted in response to the petition, stating that he had taken note of it. He acknowledged that while the task of making trains disabled-friendly was already afoot, a lot needs to be still achieved. In his tweet, he also welcomed suggestions from the general public on the issue. Experiences narrated by Virala Modi, a differently-abled young girl from Mumbai, leaves one aghast at humanity and at the same time reveals absolute apathy of the authorities towards the needs of the disabled. Owing to her disability, she had to depend on porters to be carried to her seat, as the doors are not wide enough to accommodate a wheelchair, which left her with extremely humiliating experiences of being groped and manhandled. ‘I have had to wear a diaper because I couldn’t use the train bathroom. And when I needed to change that diaper, I had no privacy and had to wait for hours for the lights to go off at night,’ she wrote. Driven by her harrowing experiences, Virali started her petition on Change.org addressed to the Prime Minister, Union Minister for Railways and Minister For Women & Child Development. She regretted that despite assurances from the Railway Ministry about making trains disabled friendly, ‘we are still humiliated every single time because of poor implementation’. The petition serves crucial insights into the basic railway infrastructure that stands lacking in its approach for the disabled where even the basic things become a task to reckon with. With the Sugamaya Bharat Abhiyan launched way back in December 2015, the revelations pose serious questions with respect to the implementation of the policies. Virali enunciates her concerns and sought revamp of the railways with respect to accessibility of bathrooms and wash basins, coaches designed to be accessible for the disabled enabling easy movement when needed, ensuring privacy by providing curtains around the berths and also proper infrastructure to cross railroads if needed to change platforms. Besides structural challenges, she also highlighted the need for an attitudinal shift in the way the disabled are treated. She stated that both fellow passengers and the railway staff need to be sensitised. Not calling it quits, Virali Modi is seeking a dialogue with the Prime Minister or the Railway Minister to discuss problems faced by the disabled in public transport.